It takes single-minded focus, money, and time for a landlord to win an eviction order. Unfortunately, this is only the first step in recovering from a problem tenant. The next task at hand may be to wait, while the deadbeat tenant remains in the rental property. Eviction laws vary, but typically the tenant is allowed a few days to appeal the eviction order. Once all grace periods have passed, the landlord usually must serve the tenant with the eviction order, and if the tenant won’t leave voluntarily, to coordinate with law enforcement to physically remove the stubborn tenant. While the sheriff will force the tenant out of the property and stand guard over unruly tenants — he or she will not assist in removing any of the tenant’s belongings. That responsibility rests solely on the landlord. Next, the landlord must sort out any possessions the tenant left behind. Chances are the tenant took anything of value (and hopefully only their own possessions). However, local laws often require that the landlord store the tenant’s possessions for a prescribed period of time. Even if the property is in a jurisdiction that allows the abandoned belongings to be left on the curbside, the landlord will be hard-pressed to fill the vacancy if the last tenant’s personal items are strewn outside. Now, the landlord must assess the unit and record any damage that may exist, before taking steps to restore the property and find a new tenant. Not all eviction courts allow a landlord to get an eviction order and at the same time win a money judgment for unpaid rent or damages to the property. In that case, the landlord will need to go back to court to obtain a judgment before they can collect what is owed. Review tenant screening practices to determine whether the problem tenant could have been avoided. Were they qualified to be in the property? Did the landlord fail to run tenant screening reports that may have flagged a problem? Did the tenant have a good reference from a previous landlord? Next, determine if the rental application has enough information to adequately screen the tenant, and to provide clues of their whereabouts if needed to collect unpaid rent or damages. Were the statements in the applicant verified before the tenant moved in? Did the lease agreement come up short? Review the lease agreement with respect to the right to evict. 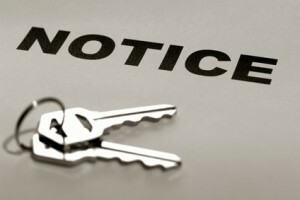 Did the landlord have a difficult time enforcing the lease during the eviction process. Ask the eviction attorney the same questions and update the form if necessary. Are there any landlord policies that may have encouraged a bad tenant? For instance, was late rent ignored, routine inspections forgotten, or repairs neglected? If the landlord has a money judgment, they must now take that to collection. Finding the tenant may be the toughest hurdle to collecting what is owed. Fortunately, the judgment likely will remain valid for years. If the first attempts at collection fail, there may be other opportunities once the tenant is reestablished financially.